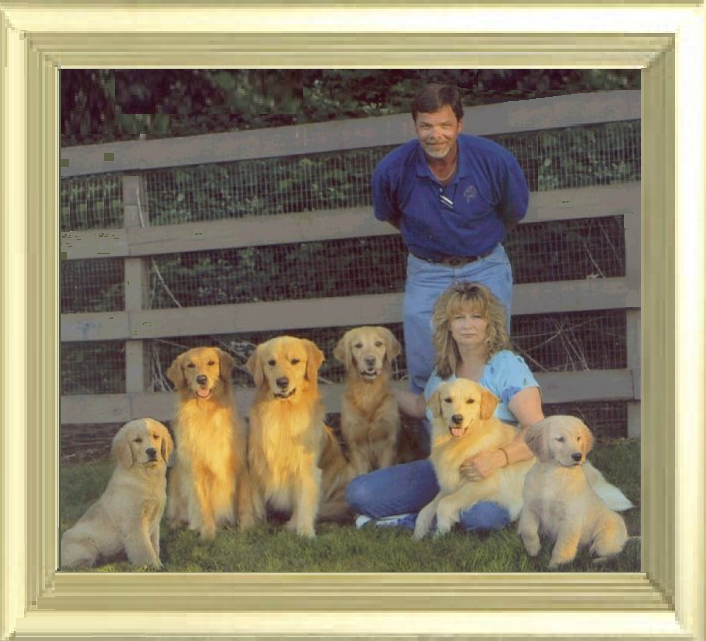 Bill and I (Barb Thornberry) have been involved with AKC sports for well over 20 years. 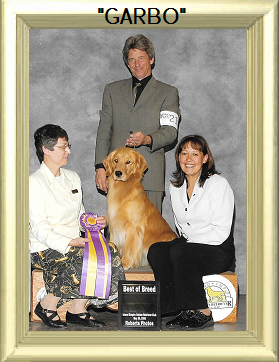 We are AKC Breeders of Merit and are proud to be members of the Golden Retriever Club of America. Over the years we have been blessed with some very nice dogs. I started out way back when, in AKC Obedience Competition. My first Golden Retriever, Diamond Dozer CD (aka) “Dozer” was brilliant! So eager to please. He was a quick study and at our very first show, he won with the “Highest Score” in the Novice class, at a Golden Retriever Specialty Show. He had his first Obedience Title “CD or Companion Dog” in 3 straight shows! He was so much fun! While training Dozer with my instructor Kristi Crabtree, (who later became my dear friend) I couldn’t help but notice she had the most beautiful Golden Retriever I had ever seen! I fell in love with Roper on the spot and I had to have a puppy from the same kennel. Roper came from Rush Hill Golden Retrievers. I was soon on the list for a female from Rush Hill. We wanted to continue showing dogs, so we had to find another “show puppy”. 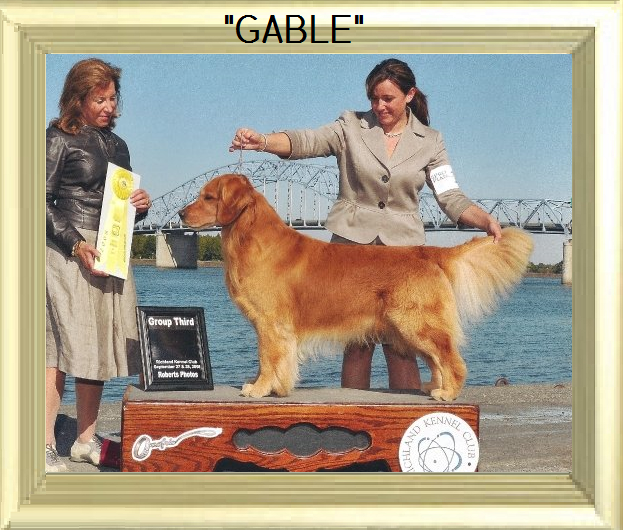 We contacted Sunshine Golden Retrievers in Oregon and spoke with Debbie Berry. We took home Sunshine’s Hell’ps On The Way OD (aka) “Topaz” in November of 1998. She became and always will be “the keeper of my heart”. I still miss her every day. 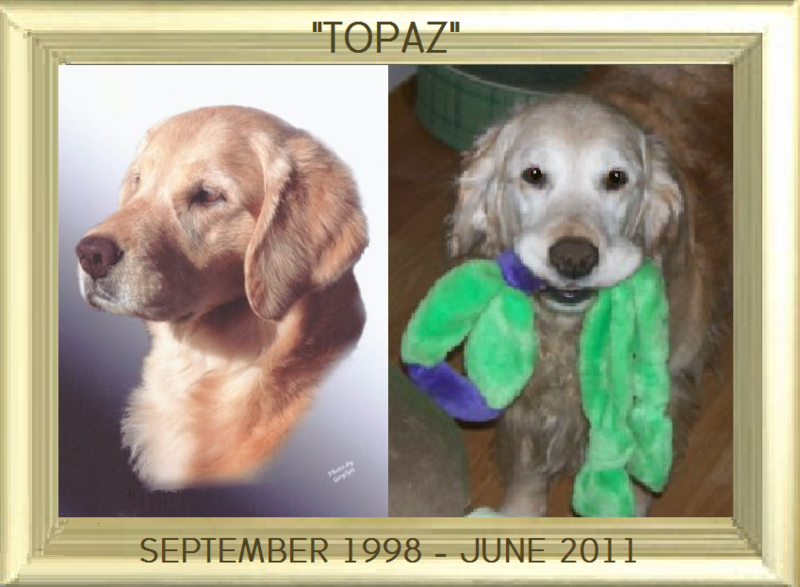 Topaz never obtained her AKC Championship, but she excelled in the whelping box. She became an “Outstanding Dam” with beautiful, intelligent puppies that became titled in every sport that AKC has to offer. In the Spring of 2002 Topaz had a litter of beautiful babies. BISS Am/Can CH. Valor’s Ultimate Star BPISS SDHF (aka) “GARBO” and her brother Am/Can/Int’l CH. Valor’s No Biz Like Show Biz BOSS MVBIS (aka) “GABLE” were born. Both went on to achieve many great titles and awards. 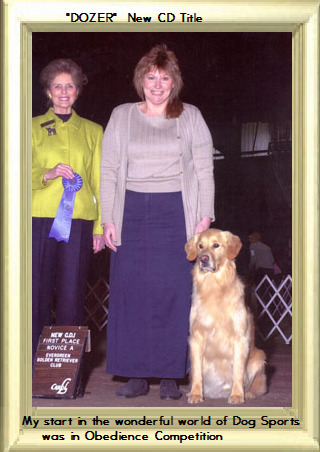 Both qualified for the Golden Retriever Club of America’s Top 20 “showdogs” for the year 2006. 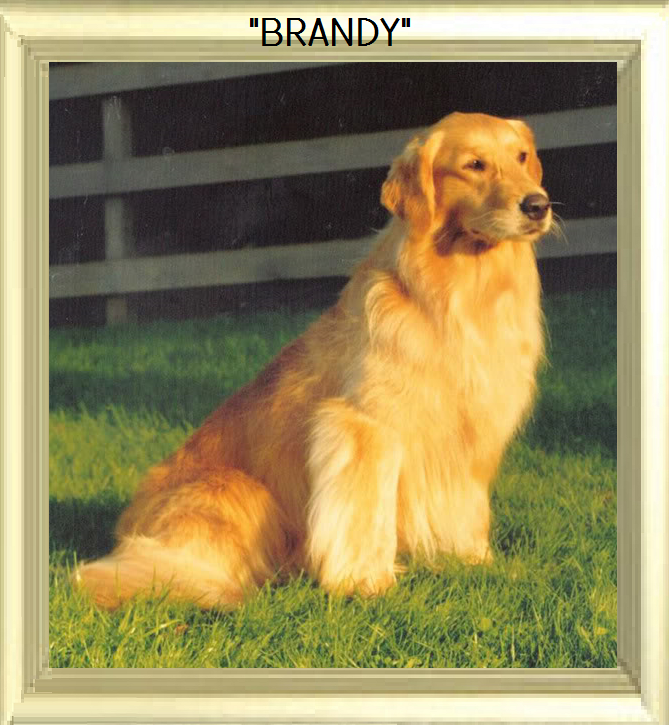 What an honor to have littermates included with the best and most beautiful Golden Retrievers in the country.